Etching is a very important step in the Cross Section Process. After cutting (FC-02 or FC4001 power saws) and grinding (CST-03 grinding table) the samples have to be Etched. the Etching process "cleans" the sample revealing the individual wire strands and the boundary line between the wire strands and the terminal wall. C&S offers 3 options, copper wire acid etching, aluminum wire etching, and electrolytic etching. Copper wire etching (acid etching solution) and aluminum wire etching solution are both applied with a wood stick Q-tips as needed. They make the best quality pictures. They are both classified as hazardous. 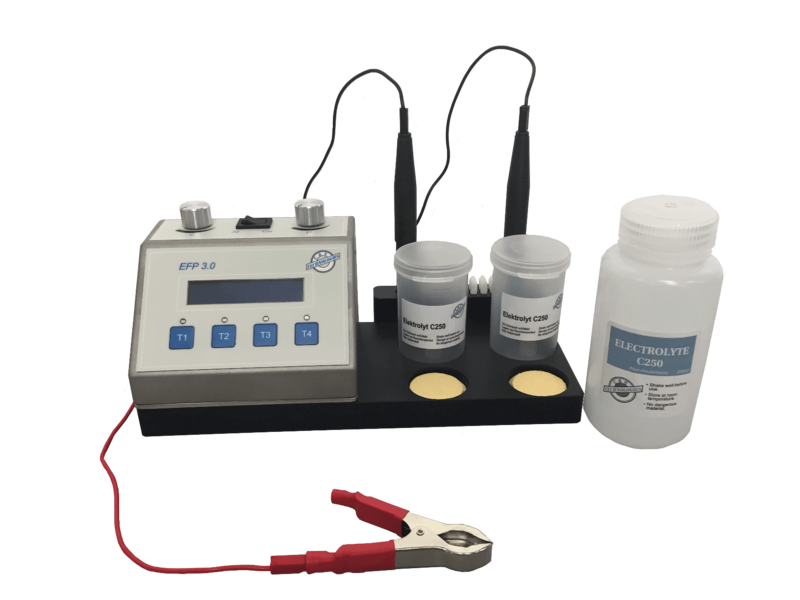 The electrolytic process requires the EFP 3.0 controller with "electronic" etching pen. The solution is not classified as hazardous. The quality of the pictures is not as good as the acid solution.